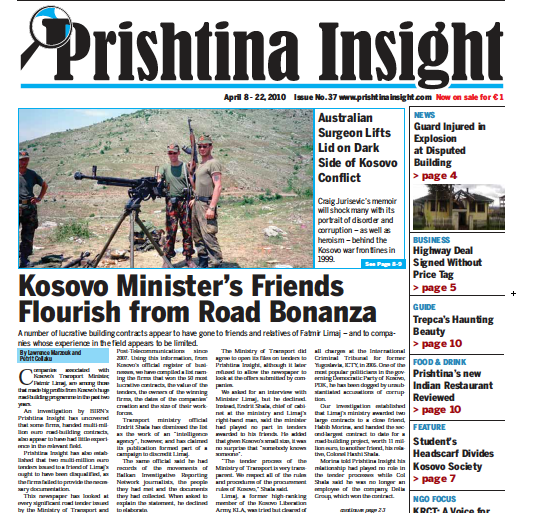 Liberal information regimes have made possible journalistic exposés such as this story published in Kosovo. There’s much pessimism these days about the state of the Balkan media. In a recent panel held at the BIRN Summer School in Mavrovo, Macedonia, Balkan editors said the noose was tightening around the region’s press, citing as examples rising financial pressures on media owners and threats of layoffs of independent journalists. Yet at the same time, some outstanding investigative reporting is being done in the Balkans, thanks not only to a growing and increasingly savvy community of watchdog journalists but also to the robust freedom-of-information laws that many countries in the region have adopted in the last decade. A global rating of right-to-information laws ranked Serbia, Slovenia, Croatia, Macedonia and Kosovo among the countries with the best FOI laws in the world, and many journalists are taking advantage of the openness to do groundbreaking reporting. It helps that in some countries – Serbia and Slovenia were cited as particularly good examples – reform-minded information commissioners have interpreted the laws liberally, releasing documents that would not have come to light in previous regimes.